San Jose, CA (September 2014) - San Jose Stage Company’s 32nd season launches with a true piece of Americana in N. Richard Nash’s Romantic ComedyThe Rainmaker. A beautiful, timeless tale of what it means to take a leap of faith in desperately hopeless times. In The Rainmaker Lizzie’s hopes and dreams have run dry when the charismatic Starbuck arrives out of nowhere, selling promises of rain - Lizzie must decide: is he a con man, or does he hold the key to everything she desires? “Our 32nd season reflects the climate of today’s of socio-political, economic, emotional and atmospheric turbulence of our times”, said King. “The plays examine the thirst for love, the need for acceptance, our passions, hopes, faiths and fears - a theatrical season framed in tales of romance, art, politics, seduction, and book-ended in la familia. The Stage is set to traverse these provocative landscapes,”added King. 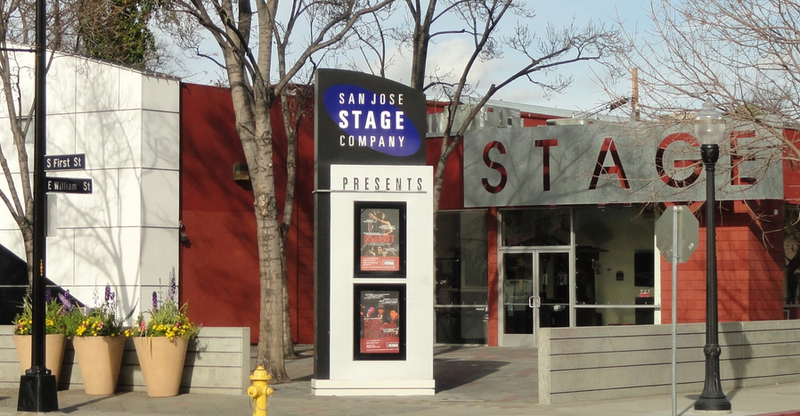 San Jose Stage Company has extended its offer to honor SJ Rep subscriptions. Please call the box office 408 283 7142. The Stage is located at 490 South First Street at William Street in the SoFA district of downtown San Jose. Launching its 32nd season, San Jose Stage Company is recognized as the San Francisco Bay Area’s Premiere Off-Broadway Theatre and is now the South Bay’s only fully professional resident theatre. The Stage is known for its devotion to new and cutting-edge work and for its commitment to showcasing high-quality local talent. Ranked the 2nd largest theatre and 8th largest performance arts organization in Silicon Valley (Silicon Valley/San Jose Business Journal), San Jose Stage Company is a vital force in the community. The Stage has earned a reputation for artistic excellence by providing high quality, edgy theatrical experiences that engage, educate and provoke audiences. San Jose Stage Company has produced over 150 productions, including 13 world premieres and 45 regional new works. Annually, The Stage employs over 150 artists, serves a diverse audience of 25,000, offers five core education and outreach programs and has housed over 300 independent performance groups. Located at the Gateway to the City’s Arts and Entertainment District, San Jose Stage Company, the SoFA Districts first arts anchor organization, continues to promote San Jose’s stature as a burgeoning regional arts center by providing live theatre experiences that enrich the quality of life in the community.